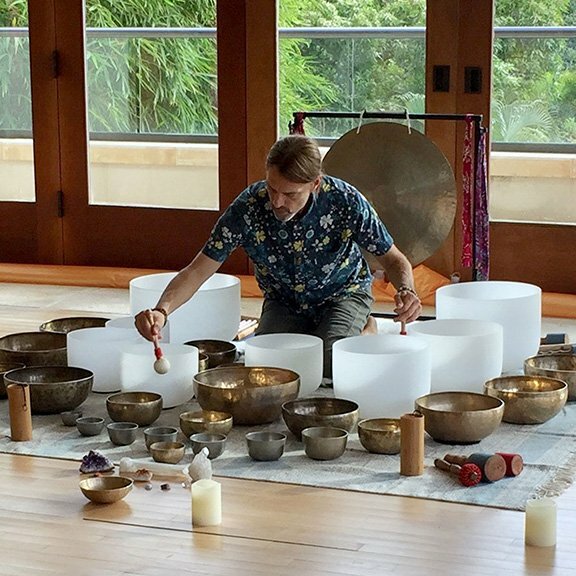 Together as Shanti Sound Healing, Christina and Paul create magical journeys through meditation and vibrational sound. You will be enveloped in a divinely inspired chorus of healing vibrational sound… Tibetan singing bowls, created by Nepalese artisans and infused with blessings by Himalayan Monks will sweep you away on a transcendent sound journey. Crystal quartz singing bowls, tuned to the vibration of the universe will also be used in addition to various chimes, crystal quartz pyramid, and water gong that will take your meditation as deep as the sea. Each instrument played is immersed with loving intention to gently transition participants from his or her normal waking state to a highly relaxed state of consciousness. In this relaxed state, a person’s own innate healing abilities are able to work more effectively to bring them back into optimal vibrational alignment that enhances overall health and well-being. During a Sound Bath, participants dress comfortably and lie on a yoga mat with the optional use of pillows/bolsters. A harmonious sleep-like state is reached while lying comfortably on your back in Savasana (corpse pose). 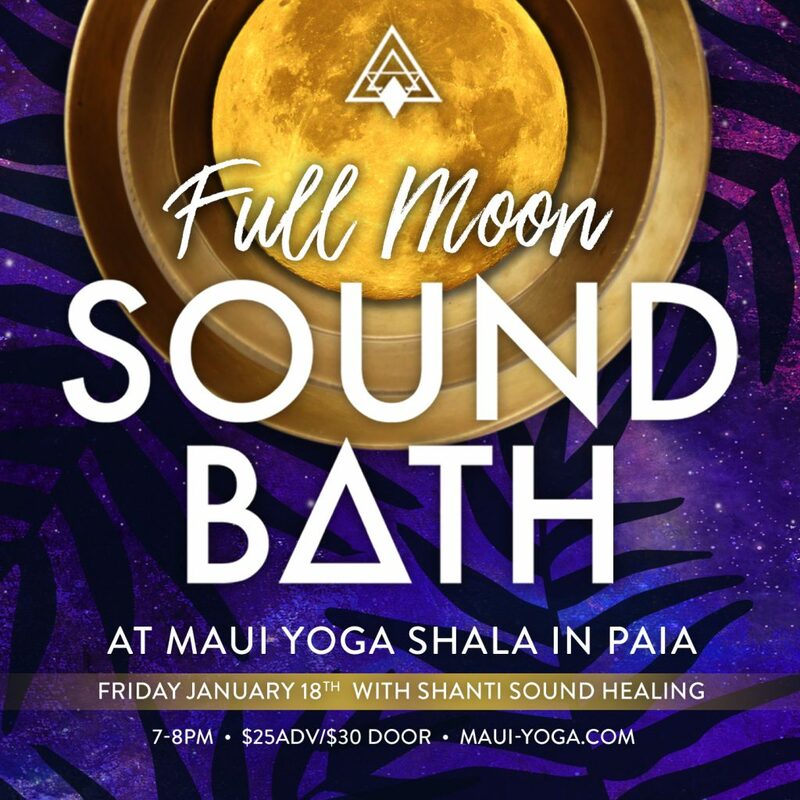 It includes a guided chakra meditation, aromatherapy and individual attention by Christina during this beautiful immersion of healing sound.